Beautiful looks and curb appeal. Maximum energy efficiency and insulation properties. Great light control and privacy. 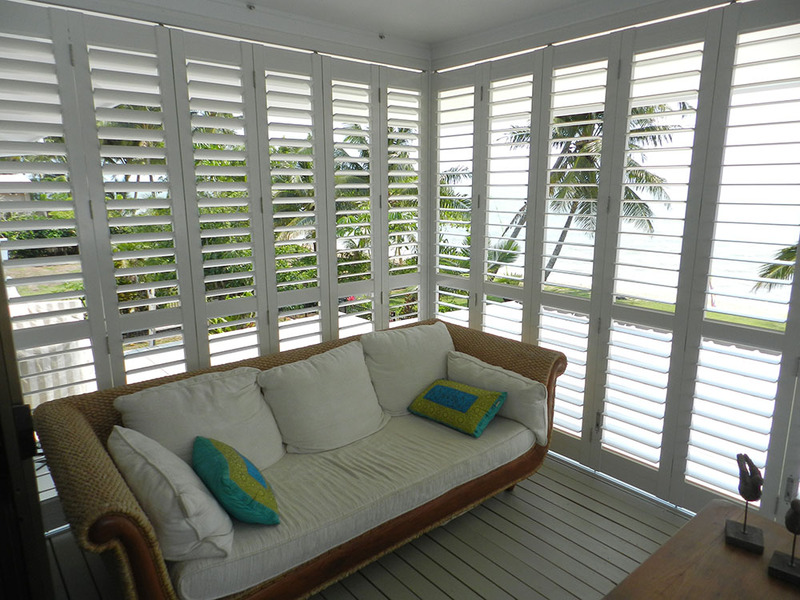 Shutters come in Basswood, Composite, and patented Polycore vinyl materials, in a multitude of frame and louver styles. We have 20+ shades of white to choose from and 22+ wood stained colors as well as the option to custom paint your Shutters ANY color desired. Choices include standard or hidden tilt and louver sizes of 2.5”, 3.5”, and 4.5”. Bi-fold and divider rail options are available as well. We sell nothing but the best Shutters at a price that compares favorably with “brand-x” products and much more affordable than comparable quality Shutters from your major franchise or chain store type dealers. We are even capable of covering odd shaped windows such as arches, rakes, and octagons, and also provide french door Shutters with custom rounded or rectangular handle cut-outs. Sliding door Shutters are offered in both bi-fold and bi-pass configurations with track systems for durability. With limited lifetime warranties honored by some of the best names in the business you can feel confident in your decision to go with our beautiful Shutter offerings!